ARCOMPANY | Are You Ignoring the Power of LinkedIn? Home / Context / Are You Ignoring the Power of LinkedIn? I deliver a lot of presentations and workshops related to social media and social selling. Usually I begin by surveying the audience with a number of questions, such as a show of hands from those who have profiles on LinkedIn, Facebook, and Twitter, as well as some of the younger platforms, like Instagram. Although most of the audience has LinkedIn profiles, they rarely use it to connect with others; often it is only a handful who do. My audience’s interests span personal branding, social selling, social strategy, and the broader social media landscape, but fundamentally they want to understand where they can derive value from social media, whether for themselves or for their business. I show them that, especially in the case of LinkedIn, the value to be derived takes action on their part, as well as a new mindset and methods to actively connect. In some ways, their presence at my workshop indicates that they want more from social media than they have managed to extract. I have often said that LinkedIn—and social media more broadly—is an under-utilized resource that can deliver tremendous amounts of value with the right approach. Despite being over 10 years old, I believe (and I suspect their growth charts would confirm) that the post-financial crisis economic environment played an important role in LinkedIn’s growth. It took them 6 years to reach 50 million members in October of 2009, only just over a year to double that number. As a matter of fact, I was featured in the marketing campaign when they reached their 100 million member milestone. Fast-forward to today: LinkedIn now has 300 million members and continues to add more than 2 members per second. If you happen to live in one of the top regions and/or work in one of the top industries, there are lots of LinkedIn present people and companies to pursue; but even if you do not live in the top regions or work in the top industries, LinkedIn is still growing, and so will your list of prospects. Even today you should be able to find people and companies to target already present on LinkedIn. To be fair, there are still companies and people that have not caught onto the opportunities available to them within LinkedIn, which is part of the reason for this post. While companies may feel quite confident that their current and/or historical business development efforts are sufficient, I suspect that when presented with an opportunity to gain competitive advantage, they would be all ears. I am not standing here with a social media hammer looking for a nail. If you are not doing a good job in your foundational areas of sales and marketing, such as email marketing, customer service, follow-up, or with your website, then adopting social media will not be your salvation. In fact, it may only draw attention to where you are failing. However, incorporating LinkedIn as a complement to your sales efforts will help you better profile your prospects, conduct more thorough account planning, increase your number of referrals, and ultimately drive more revenue. It is not an “either-or” kind of situation but an “in addition to” approach. 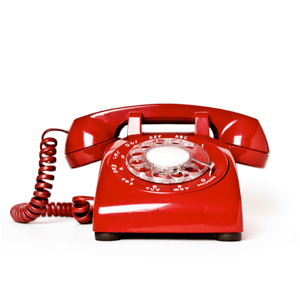 You will still have to pick up the phone, but far more of those calls will be warm referrals rather than cold ones. These are achievable objectives. It just requires a shift in mindset. Rather than waiting to be invited to connect, it is about taking the first step and reaching out. Back that up with ongoing content sharing—both yours and from other sources—to consistently engage your network, build your personal brand, and convey your expertise, and you have the makings of a successful LinkedIn experience. So what is stopping you from getting started? There is no shortage of content explaining where and how to get more from LinkedIn, and this post, as well as others of mine, is adding to the list. I like to hear from my audiences where they are challenged in getting more out of LinkedIn, and I’d love to hear from you too. I admittedly under use LinkedIn. For people in direct B2B sales along with the Twitter this network is a must. Most people have profiles and even if most aren’t active on the network they do get emails alerting them of messages etc. I don’t like blanket statements. Big companies should be on LinkedIn for HR/Recruitment purposes. Employees should for the same thing. But for Sales Reps geez this is a bonanza! If LinkedIn had existed back in 2002 when I had to build a territory from scratch in the western US in the medical device and automotive industries it would of been so invaluable (nevermind Twitter). I used to fly to different cities and camp out in lobbies of big companies just to get contact names denied to me by phone calls of the key engineers I had to sell to. Think of that. Now you can often get a name who at the least knows the right name for you. and you can do so privately unlike Twitter which is public. And your LinkedIn profile totally reduces the stress of allowing a stranger in to see you. It is Engineering and Procurements jobs to always look for new and better sources of products or solutions for design challenges. But when your phone rings and caller ID shows a number you don’t know and then a voice leaves you a message (often too long an explanation) it is stressful. Who is that? Why did they call me? Why do they keep calling me? But imagine a message saying hello and you click the profile see a photo and a bio. It helps vet the qualifications of that person and whether they are legit. This way when you agree to a phone call or visit it is warm vs cold. You know what they look like You know their general skills and experience. Trust me…..a company name is nice ‘I am calling representing IBM’….but seeing they know what you do, your industry, etc gives so much more credence for a meeting. And for Sales Reps they should work to ensure their profiles aren’t just HR pitches so head hunters can find you…..they should be customer pitches first and foremost! How did I do Amy? Howie Goldfarb AmyMccTobin #BestCommentEver Howie. I’m draggingin ajenkins into this. Howie Goldfarb AmyMccTobin Howie, spoke like a true um…. convert? Come to the dark side Howie! Howie Goldfarb AmyMccTobin Howie – we are kindred spirits and we have not even met. Your caller ID analogy is very similar to one I give in presentations about the difference between email and InMail. The latter has higher open rates and includes my name which happens to be a link to my profile that provides my background and information about potential mutual connections – all things that email does not provide. That’s just another example of the power LinkedIn provides over old approaches.